The goal of the Hawaiian Islands Climate Synthesis Project was to develop comprehensive, science-based syntheses of current and projected future climate change impacts on, and adaptation options for, terrestrial and freshwater resources within the main Hawaiian Islands. 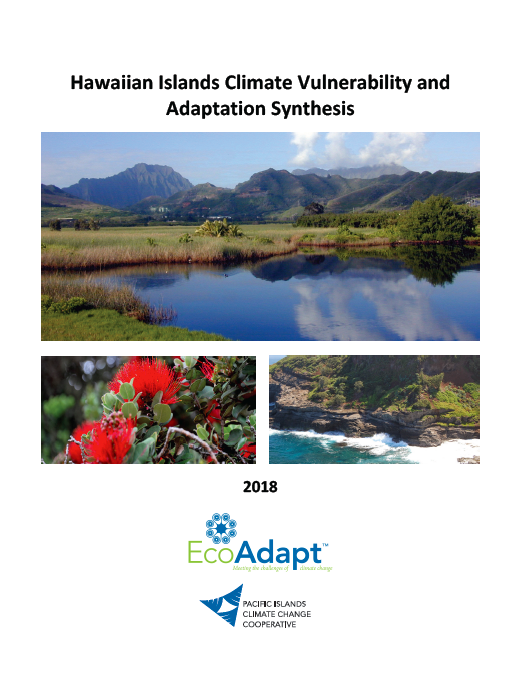 The Hawaiian Islands Climate Vulnerability and Adaptation Synthesis presents the results of the major project components - climate impacts assessment, vulnerability assessment, and adaptation planning - and provides an inter-island analysis of the findings. More detailed information is available in the individual vulnerability assessment syntheses and adaptation summaries, and should be referred to for decision support, which can be found at http://bit.ly/HawaiiClimate.